Staples QB Andrew Speed prepares to throw a pass during high school football action against St. Joseph in Trumbull, Conn. on Saturday Nov. 7, 2015. With a year of starting varsity experience under his belt, Staples starting quarterback Andrew Speed is ready to take the next step. A true dual threat with his throwing and running abilities, Speed has a chance to lead the Wreckers back into the postseason after missing the Wreckers postseason contest in 2015 through injury. After shuffling players in and out of the lineup as a result of a flurry of injures, Wreckers coach Marce Petroccio is glad to have his senior signal caller leading the huddle. Speed made his debut as the Wreckers opened 2015 with a 21-14 win over Danbury. He admitted the nerves were in full force, but it didn’t take long for him to get comfortable under center. The next week against Wilton, Speed showed off his arm and legs to the tune of 300 yards and a blowout win. Looking more comfortable as the season progressed, Speed and the Wreckers began 5-0. There were setbacks along the way, though. A concussion led to missed time, a broken wrist late in the season caused him to miss the two biggest dates on the calendar — a Thanksgiving showdown with Greenwich and the 41-7 defeat to Darien in the Class LL playoffs. Along with most of the Wreckers, Speed was in the gym five days a week since that defeat to the Blue Wave. Without any winter or spring sports to divide his attention, football has remained on his mind uniformly. It’s an attitude he hopes rubs off on the rest of his team as the season begins. Petroccio compared Speed to having another running back in the backfield in his option attack. Though the ground game will be a large part of the Wreckers offense again in 2016, Speed will have the opportunity to beat teams with his arm as well. Speed is also slated to play cornerback this fall and can also help out a defense that began last season with three shutouts in its first five games. 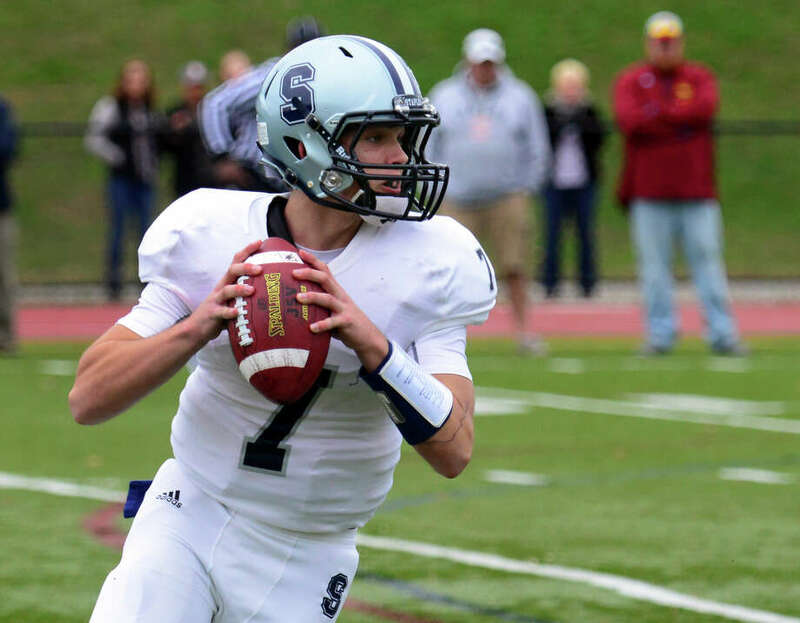 Speed’s top target this year projects to be UConn-bound tight end Ryan Fitton. The duo have a chemistry that finally hopes to pay dividends on the field this season. The Wreckers begin the season Sept. 9 against Brien McMahon.